Another part of the GT3 series jigsaw slots into place with the confirmation today that dsc's UK Newcomer of the Year, Oliver Bryant, will be stepping up onto the European stage - as part of Phil Hindley's six man squad aboard a trio of Tech 9 Porsche 997s in the FIA GT3 series. The final driver line up for Tech 9 looks set to be finalised after next week's Paul Ricard Test, where the GT3 contenders will again be evaluated by Christophe Bouchut, and an as yet unnamed gentleman driver, to provide data to allow the cars to be 'equalised'. Bryant will be racing Keith Ahlers’ Morgan again in the British GT Championship (against Tech 9) – while a third programme for the young man is still under discussion, which may yet see a further step up in sportscar racing, in what is shaping up to be a busy year for the Marlow-based racer. 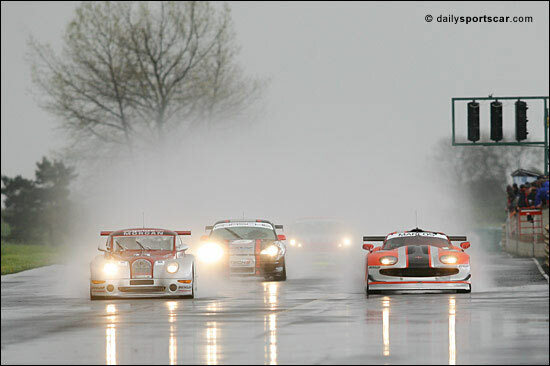 Heere he is at the head of the pack last year, at Croft's British GT meeting.